Selamat Jalwa! We arrive! Much is happening around this globe! Our earthly allies are moving the initial fundings to various key points. You can expect this immediate time to be one when the power structure of the dark cabal finally begins to give way to the new. We have watched this unfold and seen how the dark’s last grand resistance is quickly fading from the scene. For millennia, this cabal has been the vehicle by which the Anunnaki, your former overlords, managed this realm. Heaven dutifully sent forces with specific instructions on how to divinely proceed. This we have done! The various earthly allies spent centuries before our arrival to plan and move silently into the most advantageous positions. Now that we are here, these same allies are ready, after many centuries of waiting! Our liaisons have given the cabal a number of special ultimatums. You are to witness how these scenarios are carried out, and how the dark is to finally fail. Nonetheless, these coming maneuvers are only the start of a much grander vision for Gaia, and especially for you. The key is to return you to your natural free state and ready you to obtain a most vital education about who and what you are! This natural state of freedom is to be accompanied by a series of unalienable rights, given to all free women and men by the Creator eons ago. You are as well to learn about governance and how to care for and protect the natural organism you are to be graciously provided with. Take this along with a Creator-given prosperity and keep it safe from any sort of harm. You are to be taught about your true origins and given instruction on your history since the fall in the latter times of Atlantis. Use this knowledge to ready yourselves for our arrival. We are to provide you with mentors. Then, you can explore on a more individual basis what truly happened to you. You have within you a collection of epi-genetic materials. These are a record of how your ancestors coped throughout history and how you have coped with crises you have faced since birth. 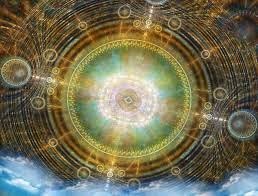 Together, let us review this and other events to prepare you for a grand event — your transformation in the Crystal Light Chamber into a fully conscious humanity. This moment is to begin to mark your return to being galactic humans! he main task of our mission right now is to see that a number of special trusts are properly released without the continual delays imposed by the cabal. At present, this task is proceeding smoothly. The central bankers and their numerous associates dearly wish to seize these vast sums in gold and other precious assets. The main objective becomes to turn this around and apply sufficient pressure to force these dark ones to agree to the transfers and then guard against any possible looting. Once this vital process starts, it is necessary to see that sympathetic law enforcement personnel are used and that these many key transfers happen. So far, these precautions are being successfully applied. In addition, a whole plethora of technicalities need to happen. The Light is doing all of this. Hence, these many transfers are in their preliminary stages of operation. Therefore, in the next time period you are about to receive funds. These funds are merely to begin projects, your prosperity and new governance. The Light has had to take its time and move as quickly as permitted. Our earthly associates realize how deep the ring of deception and corruption goes to temporarily satisfy enormous greed. The group at the very wealthy top of your societies has immense power and uses it to keep you in their noose of increased debt slavery. This cycle has continued since the earliest days of your many societies. What is now happening is the push to end this nonsense and restore this globe to sanity. Gaia is reaching the point where she intends to unleash a vast “firestorm” to force you to transform your societies. Our task is to liberate you and swiftly transform how your societies operate. This is why the present actions by our allies are so important, to succeed and permit acknowledgment of our existence, so together we can move more quickly toward your sacred objectives. 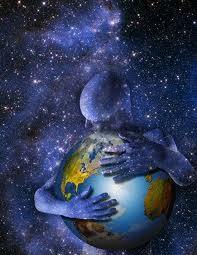 In this way, Gaia’s surface can be restored and you can return to being galactic humans! Blessings! We are your Ascended Masters! 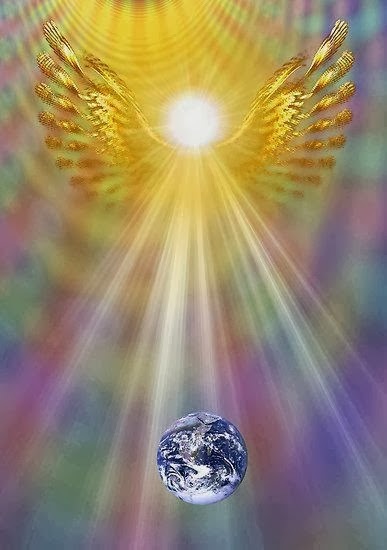 Lord Michael stated to Heaven that this time is when a great Light energy is to envelop Earth and lead us back to true Joy! We have been specially preparing for this time, since it is when miracles are to come forth and vanquish the dark. Much of this is blessedly happening as events appear that are leading you back to the Light. Twenty years ago, the first grand step occurred in this ongoing miracle as Anchara suddenly agreed that it was time to begin the merging of the dark with the grand Light of Heaven. This has even led to the departing of the Anunnaki and to the current predicament of the dark cabal. The dark can no longer manipulate you as before. We, likewise, have found our ceremonies have a much greater ability to surround and protect you. The energies of the Light are growing stronger with each passing day. We thank and bless you for all the assistance you offer to us daily. Indeed, the Lights grow stronger in all of us. We are thankful to the highest for your incredible ceremonies, which aid our own prayers for Gaia and humanity. It is said that much is expected of those who are gifted with the prayers and aspirations of Heaven. A great wave of peace is settling around this world and allowing humanity to start to see what it is truly capable of. Long ago, in ancient Lemuria, we came and filled this land with energies of joy and prosperity. These prayers and gracious songs were temporarily interrupted by the greed of Atlantis for power. Ever since, this need for control has highlighted the rule of the Anunnaki and their global band of minions. Millennia have marked this great move from the Light and into the realm of the dark. 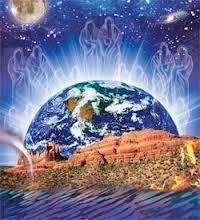 Now, this is being reversed as the Light and its gracious prayers and song again return to Gaia and her people. Each of us is a grand transmitter of this heavenly Light. While you sleep, the Light fills you with the precursors of your journey back to galactic humanhood. This operation has secretly been going on for millennia. What is different is both the strength and the intensity of these grace-filled blessings. The dark can sense this and it is starting to see that its long reign is at last ending. We understand this and are most joyous about it, and other things, which grace this land. Beneath your feet is a great land known as Agartha. It has been our primary home for centuries. We bless this place and know that soon it is to be your residence as well. You are to be truly at home in this most glorious land. Its crystal cities glow with Light and joy! Once there, you are to join in the singing and aid the angels with their blessings. You are to see this realm in an entirely different light. Hallelujah! Hallelujah! Hallelujah!